Authenticity was the key. We wrote the first book from the heart with no expectations of sales, income or distribution. It flowed. As part of my series about “How to write a book that sparks a movement” I had the great pleasure of interviewing Troy Amdahl and Dave Braun (AKA The Oola Guys). Troy Amdahl and Dave Braun (AKA The Oola Guys). Oola is a lifestyle based upon the internationally best-selling book series of the same name. Dr. Dave (the OolaSeeker) and Dr. Troy (the OolaGuru) are renowned experts in a proper work-life balance. The OolaGuys are currently traveling to all 50 states in this VW Surf Bus collecting 1,000,000 dreams and helping people find balance and growth in the 7 key areas of life (the 7 F’s of Oola) — Fitness, Finance, Family, Field (career), Faith, Friends, and Fun. By revealing how to remove the stress related to a life out of balance, they unlock the greatness that is inside all of us. A better “you”, makes a better family, a better community, and ultimately a better world. The OolaGuys are committed to changing the world with this word with their simple yet life-changing message. Dave: I grew up in a small town in North Dakota. I had four sisters, great parents and we all worked hard on the farm together as a family. We didn’t have much monetarily growing up, but we were happy. I always knew that I didn’t want to stay in the small town, but I didn’t really know what I was going to do. I got to college on a full-ride sports scholarship, loved college and moved to MN for my doctorate and that I where I met Troy. Troy: I grew up in Rochester, MN. I had two older sisters and an older brother and loving parents. I saw my dad work 3 jobs (day job, side business, and weekend job) to provide for us 4 kids. I remember being bored in class in 11thgrade and writing on my notebook, “Be debt free and retired by 40.” I was grateful for all my dad provided, but what I valued most was time. I wanted to do life differently. Dave: The book that most changed my life is Crush It by Gary Vaynerchuk. It was after I lost everything in 2008–2010 and I was at the bottom and just starting my journey back to Oola. In desperation, I walked into a Barnes and Noble and just started looking for a book to help me out in my career path. I found his book and read it in one evening. It inspired me to think differently about building an audience and using the power of social media and the internet to spread a message. I instantly knew that this is how I was going to share Oola with others and turn Oola into my career. Troy: Total Money Makeover (Dave Ramsey). By the time I read the book I was already debt free. But it was nice to know I wasn’t the only one to think this was a good idea in a culture seemingly obsessed with consumption, stuff and their FICO score. Dr. Troy first taught Dr. Dave about the OolaLife in 1997. A group of guys would meet once a year in December at the Hard Rock in Las Vegas and work on life and planning out the next year. They would sit on the floor and in front of them have 7 stacks of 3×5 notecards, one stack representing each of the key areas of life. Then, they would determine where they were, where they wanted to go, and what work needed to happen to make positive change in these 7 areas to achieve a more balanced life (not just money and career). A thing called an OolaLife (from the word “Oo-la-la” — because that’s how it feels when your life is balanced and growing in the 7 key areas — the 7 F’s of Oola). Using these principles, they both found success in all 7 areas, but when Dave drifted from Oola, he found himself bankrupt, divorced and living in a motel. He reached out to Dr. Troy who was debt-free, retired (at age 42), married 20+ years, running in ironman competitions, and actively pursuing his OolaLife. Dr. Troy helped Dr. Dave put his life back together and then they decided to write a book about their experiences and the Oola principles to see if it could help others. The first book was self-published. Once it sold 100+K hardcover copies, they got the attention of the original publishers of Chicken Soup for the Souland signed a 3 book deal. The success led to the purchase of a 1970 VW surf bus. 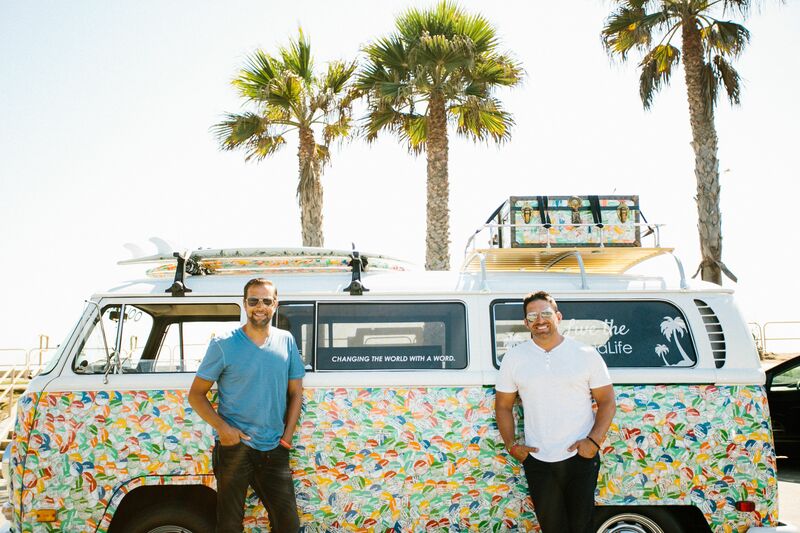 The OolaGuys are now traveling to all 50 states (currently 43 states in) on a mission to collect 1,000,000 dreams in the form of hand-written stickers on the side of their bus in an attempt to change the world with a word (#Oola). If each person who puts a dream on the bus makes it happen, it not only makes their life better, but also inspires those around them to do the same. A better “you”, makes a better family, a better community, and ultimately a better world. The OolaGuys are committed to changing the world with this word with their simple yet life-changing message. SIDE NOTE: The OolaBus is currently 24 layers thick in hand-written dreams. Also, interesting side-note they are on engine #3 (haha). The books, the OolaBus, and the growing community on social media led to a movement and a lifestyle brand. Totally blew our mind and wildest expectations. The book world is noisy, especially since it has become so easy to self-publish and get your message out there. We knew the principles worked, but we didn’t know if the concept would resonate. What totally blew our mind is that we wrote a book and a lifestyle community and brand broke out: over a million people follow Oola on various social media channels, Oola license plates are in almost every state, thousands of LIVEOOLA car decals on cars around the world, thousands of Oola hats, and hundreds of Oola tattoos. Crazy. Easy. The first time saw someone tattoo Oola on their body. This was a word we made up and now people are permanently marking their bodies as a reminder to live a life of greater balance. Now we see them all the time and it never gets old. Beyond that when we started putting the word “Oola” on things (hats, t-shirts, tea, events, etc.) and saw the volumes we sold, we knew people loved it. We’ve always been passionate about Oola, but numbers don’t lie, and the numbers were impressive. I remember buying a comfy hat just for personal use (1 hat) and I had someone embroider the word “Oola” on it. Then everyone on social media wanted one. We ordered 10, then 1000, then 10,000. That is when we knew there were people interested in the message we were sharing. Early readers loved the simplicity. We took this complicated thing called life and broke it down to the basics: 7 key areas (the 7 F’s of Oola), the 7 things (OolaBlockers) that get in the way, the 7 things (OolaAccelerators) that will get you there faster, and the 3 Simple Steps. It’s a book many people read 1x/year because it speaks differently to different people at different times. Some people read it and decide they need to pound down debt. Another person will read the exact same book and decide they need to heal a relationship. And yet another person can read Oola and decide it’s finally time to get in shape. We don’t tell people what to do, we just present what is possible. The amount of people who the message has helped and how many people share Oola with others is phenomenal. We love when people tear up as they put their first dream on the OolaBus and realize that they are designed for greatness and a purpose, BUT…it’s when you come back to a city a year later and those people are crying because they achieved their dream — that is special. The ones that lose over 100 pounds, save their marriage, pay off a house, quit their job, start their business etc. are also memorable. My most memorable “strange” experience was when we were on book tour in southern Florida and driving across Alligator Alley with the OolaBus. We were on Facebook live and a bearded man in a truck pulled us over. We were kinda scared, but he said that he googled us and he wants an OolaLife. He said that he was in a bad place and he needed help. After talking for quite awhile, he teared up and wrote his dream on the bus to believe in himself and find his purpose. We found a way to contact him a year later and he was doing better and his story will be in our next book, which we are writing right now. People jump to conclusions about life balance. No one lives in a perfect state of balance. It is not like we take our day and divide the 24 hours by 7 and devote 3 hours, 26 minutes to fitness, and 3 hours, 26 minutes to family, etc. We are like the circus performer spinning plates. We are just trying to keep all the plates spinning before they crash and hit the floor. On a practical level, as demand for Oola has increased, our own lives began to get out of balance. It would be strange if the OolaGuys, the life balance guys got their own lives out of balance. There are now so many opportunities with Oola that we can feel pulled in many directions, but we have to walk the talk, so we take serious action on keeping our lives in Oola. It’s the long form nature of a book that connects. It’s being able to really reach people and explain to them a new way of living. In a book you have the ability to reach their emotional centers and lay out a solid plan for them to follow. Authenticity was the key. We wrote the first book from the heart with no expectations of sales, income or distribution. It flowed. We wrote 90% in 3 days (compared to the over one year we have invested in our current book). We simply told a story of a process that got Dr. Dave out of a really dark spot, which has helped many others. Our initial goal was to simply tell a story in the hope of helping others. On a practical level we have a great balance of talents in the Oola company and we all know how to hustle and be persistent. Dr. Troy is very left-brained and runs the business side of Oola and manages the day to day all while having his hand in the creative, branding and marketing. Dr. Dave is very right-brained and runs the creative, branding and marketing team all while having a strong sense of business. Our biggest challenge in Oola is that we all work remotely from different states. To keep Oola moving in the right direction and to keep everyone on track, we have to communicate through zoom meetings, etc. We are also lucky we didn’t know then what we’ve learned about the book world today. We may not have taken it on. We have experienced great success, but we’ve worked. Mark Victor Hansen (one of the Chicken Soupauthors) once said, a books success is 5% about the content and 95% about the hustle. Even with an organic, viral community supporting you, there is work involved. 1. Be passionate about what you are sharing. When you write a book and set off to make a change in the world, you are going to run into long hours and nights and serious obstacles. If you aren’t 100% passionate about the topic, you are done before you start. Troy came out of retirement and says this is the hardest he’s ever worked and the most fun he’s ever had in his life. We were on book tour, travelling in the OolaBus with no air and no heat from Missoula, MT through Coure’d Alene, ID to Spokane, WA and then on to Seattle and Portland. We were driving through a mountain pass on the Montana/Idaho border and it was freezing and snowing outside and we were icing up on the inside. We were shaking and actually complaining about why are we doing this. At the moment of wanting to quit, a car pulled up beside us honking and waving and when they passed we noticed Minnesota plates and a LIVEOOLA car decal in the back window…right then, we knew that we needed to just keep going. Passion!! 2. Organize your thoughts into a simple program. People are busy and need something they can easily implement and start seeing results. Oola was a process that became a book and is now a process again with OolaPalooza. When the book first came out and we started selling copies to people we didn’t know, we would ask them on social media what they liked about the book. It was overwhelmingly the simplicity. Before the OolaBus, the OolaDream Tour, OolaPalooza, etc., it was simply a message that would help others and it was simple enough for them to share. About a year into Oola, we were blown away when someone posted pics on social media about their Oola class they were having to help others find balance. We had no idea who this person was and we’ve never asked anyone to host a class. 3. Be bold and be different. The book world is noisy. Social media is noisy and our attention span is that of a mouse. The name of the game is attention and you have to go get it. The book comes out and starts to take off. People who read the book ask us if we have an event that they can come too. We create OolaPalooza in Vegas and it sells out. After OolaPalooza 1, we open up tickets for OolaPalooza 2 and it sells out in one hour. I took off for a vacation with my kids and Troy calls. He reminds me that OolaPalooza is cool and we saw it help so many people, but what if instead of people coming to us, we go to people. I was like, “I’m in, what are you thinking?” He said the icon of freedom, a 1970s VW surf bus. I was in. If you want to get noticed, be different and there isn’t anything more different a surf bus covered 24 times in handwritten dreams driving around Manhattan. 4. Be ready to Hustle. Writing the book is the easy part. After the book is where you start working. It took three months to finally sell a book to someone we didn’t know and then the next week two books, and then five, and then ten, and then hundreds, and then we just couldn’t keep up. Out of simplicity, we started shipping books out of Dave’s house. He would check the orders every day and process the 1 or 2 and then move onto setting up social accounts and marketing etc. The next thing I knew, I was recruiting my kids after school to pack books and it got to the point where we were packing books until midnight and the kids fingers where getting sore from folding book boxes. When a semi, pallets of books and a forklift pulled up to my house, I knew we needed to get publishing and distribution. The first 2–3 years were intense. 5. Be persistent with your message. Don’t give up and don’t get bored of your own message. Once you decide on a message and a path, stay on that path. People need to hear the same things over and over before it registers and then they need to hear it over and over again before they start taking action. You will get sick of saying the same things time and time again, before people even start to hear it. And think outside the box. We were about three years into Oola and we were in upstate NY. Two lessons were learned on that tour. First, we had spoken for this company twice before, so we wanted to change up the messaging and make it something fresh. As we were ready to go on stage the organizer of the event said, “Make sure you tell them the same stuff you told them last time. It was so good.” We did just that and realized after that when you go to a concert, you want the band to play their hit song even if they have sung it thousands of times over the last twenty years. We were ready to leave after the event and someone asked us if WE would put one of our own dreams on the OolaBus. We talked about it for a little bit and decided that our dream would be to “Get the OolaBus on the TODAY show.” We were heading to Manhattan the next day and it sounded like a good idea. We got up at 4am and started driving around Rockefeller Center since there was no way we were actually going to get on the show in a day’s notice. We drive around for at least two hours, before we were pulled over by the NYPD because we were getting attention. Troy said that was the idea and they laughed and said, “Go get it guys.” By hour three, we had a host of people watching the TODAY show and tweeting us to let us know if we got on. Around 8 or 9 am we finally drove by just at the right moment when the camera guy pointed the camera out the window. Twitter lit up that we finally made it and we can stop driving in circles. At the end of the day, it was never about getting attention of the actual TODAY show, but we got the attention of people across the country rooting for us. They saw that we were serious about doing whatever it takes to share Oola with the world. Persistence pays off. We are passionate about the looming consumer debt and student loan debt issues that are plaguing our country as well as the obesity and diabetes epidemics in our youth. 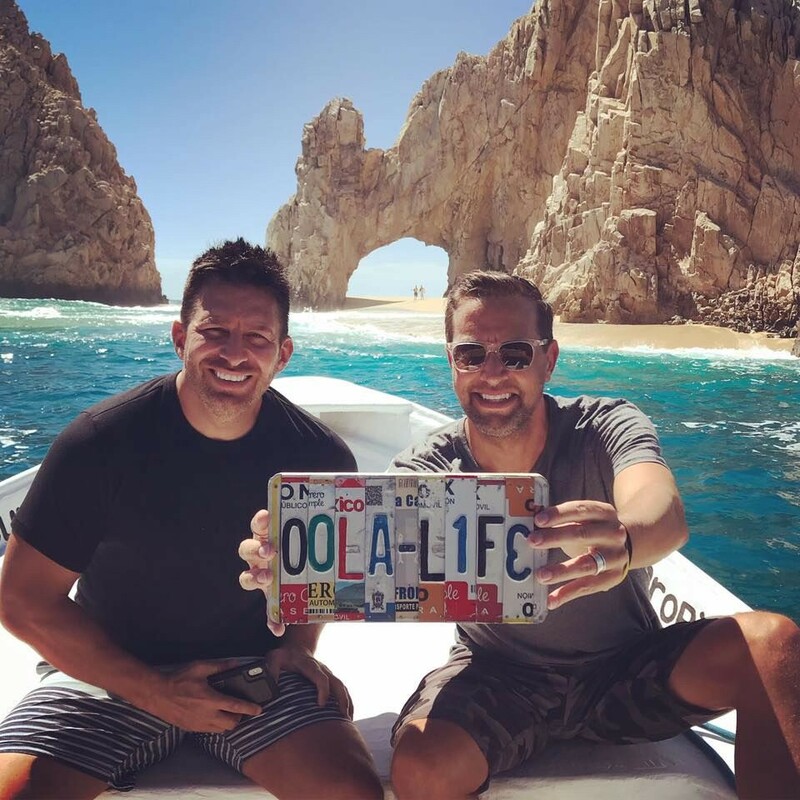 Losing control of your health and having financial stress are two areas of Oola that take people out, and affect all other areas of their Oolalife. Money stress leads to family stress and marital stress. No money = more stress and less fun. Debt is a huge issue when we talk to people on the OolaBus…people are really freaked out about this. 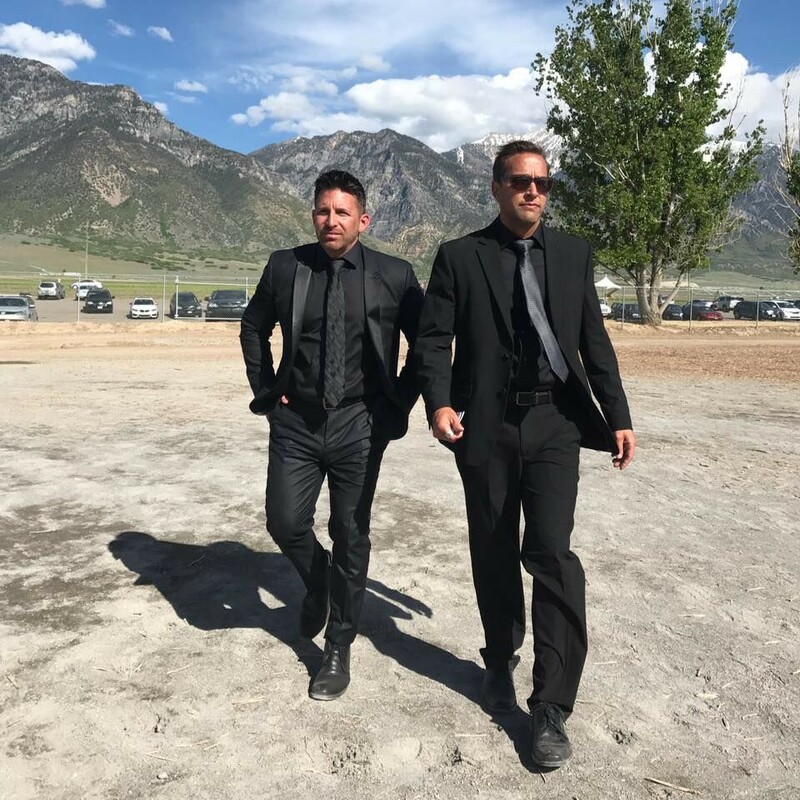 Troy is the ultimate guru when it comes to money (retired at aged 42, debt free and four houses around the world including Panama and Thailand) and he has started sharing a bunch of free content every week on YouTube and Facebook “lives” through a program called Money Monday. Health issues become the A-bomb to your OolaLife. We see many people with great dreams who lose everything because of health or simply lose confidence and struggle with self-worth, relationships, career, etc., because of obesity. We are both very active and love health, exercise and nutrition. We even started an Organic tea company, www.oolatea.com, that has gone crazy. We hit a million dollars in sales in ten months and through our give-back program, we have fed over 80,000 children.